Get 14 simple steps to increase Pharma Sales revenue? Pharmaceutical ERP software has been developed to suit the specific business and regulatory needs of Pharma Industries. "We design custom pharmaceutical manufacturing software systems to manage all areas of ERP, including formulation, distribution, QA, process analysis." Thanks to the online presence of each and every individual, there is a huge availability of data at the disposal of the pharmaceutical industry, and they can definitely benefit a lot if they make good use of this data! Keeping this in mind, we are also building an Enterprise Resource Planning (ERP) for Pharma companies. It is also our one-of-kind innovation to streamline the pharmaceutical processes in India. The Pharma ERP Software aims to integrate all the pharmaceutical processes into one single system. It will also offer analytics and visibility to enhance the overall efficiency of your pharmaceutical business. 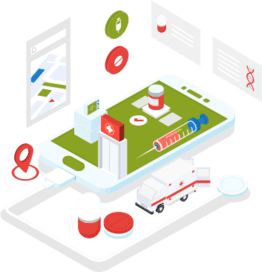 With a real-time flow of information, your pharmaceutical company can be totally data-driven and manage the performance online. If you track this well, you can definitely improve the sales and revenue of your company massively.